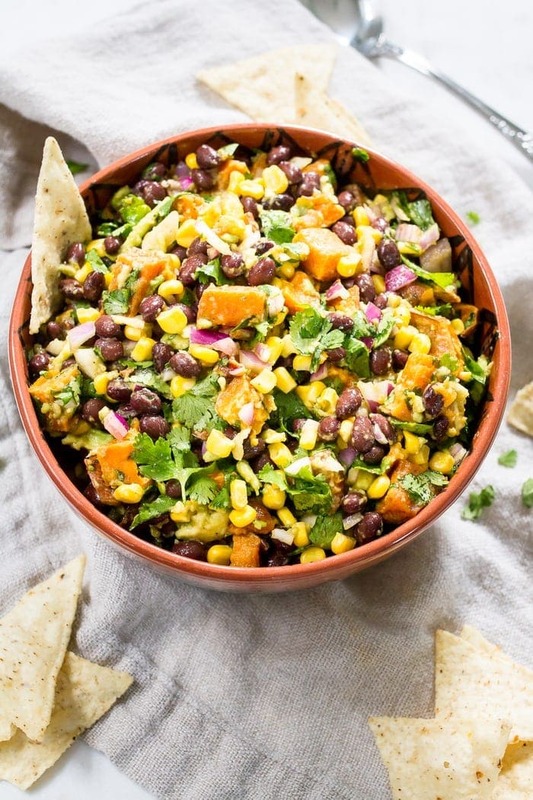 This delicious sweet potato black bean dip is loaded with flavor and perfect served with tortilla chips, as a side or as a topping for salads and tacos. Recipe from Minimalist Baker’s Everyday Cooking. 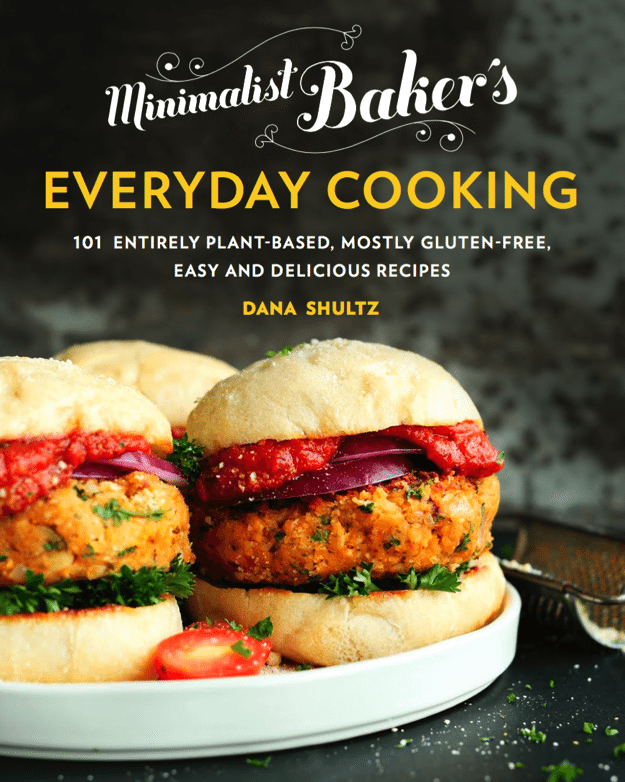 I know I’ve mentioned it before, but my friend Dana of Minimalist Baker has a new cookbook out — Minimalist Baker’s Everyday Cooking: 101 Entirely Plant-Based, Mostly Gluten-Free, Easy and Delicious Recipes. I was gifted a copy a few weeks ago while I was in Portland visiting and I’m in love with it. Since being home I’ve thumbed through the pages of the book multiple times and it’s ah-MA-zing. 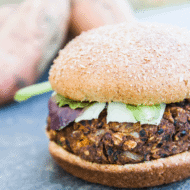 Seriously, Dana is a genius in the kitchen (and behind the camera) and the cookbook is filled with delicious, plant-based (vegan) recipes and most of them are gluten-free as well. I’m not sure if it’s the beautiful photos or the vast amount of recipes to choose from (there’s over 100), but I was having the hardest time deciding what to try first. 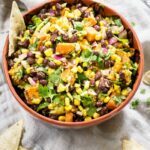 I had Dana recommend a few of her favorite recipes from the book and finally narrowed it down to this Southwest Sweet Potato Black Bean Dip. If you’ve been reading EBF for any amount of time you know that I’m a sweet potato lover… especially when they’re roasted to perfection. As soon as I noticed that this dip called for roasted sweet potatoes with maple syrup and spices I was sold! The sweet potatoes get soft and caramelized and would honestly make an awesome side dish on their own. <— I ate far too many straight from the baking sheet while prepping the other ingredients. Oops! But as with any dip, the true star of the show is the sauce. This one is simple (with mashed avocado, oil, lime, maple syrup, salt and pepper), but it works wonders on the dip. So there you have it! This sweet potato black bean dip is a must-make. 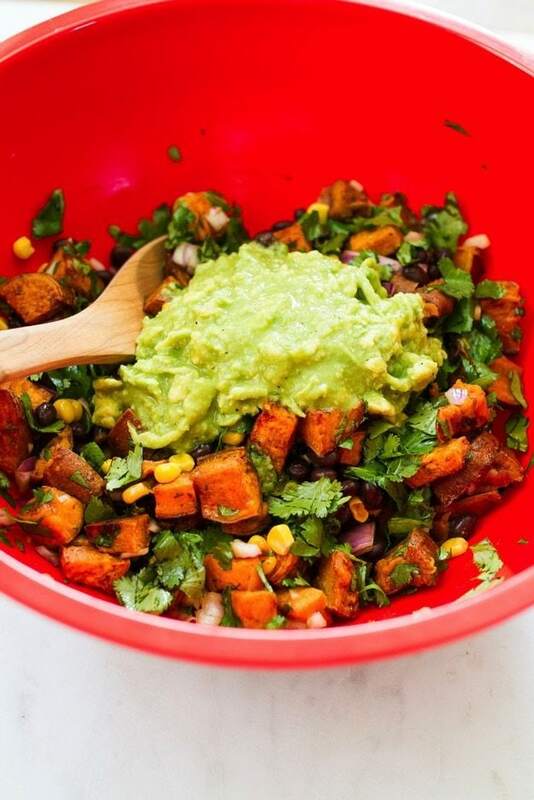 This just in —> Cinco de Mayo is tomorrow and this recipe might come in handy if you’re planning a little fiesta. Just sayin’. 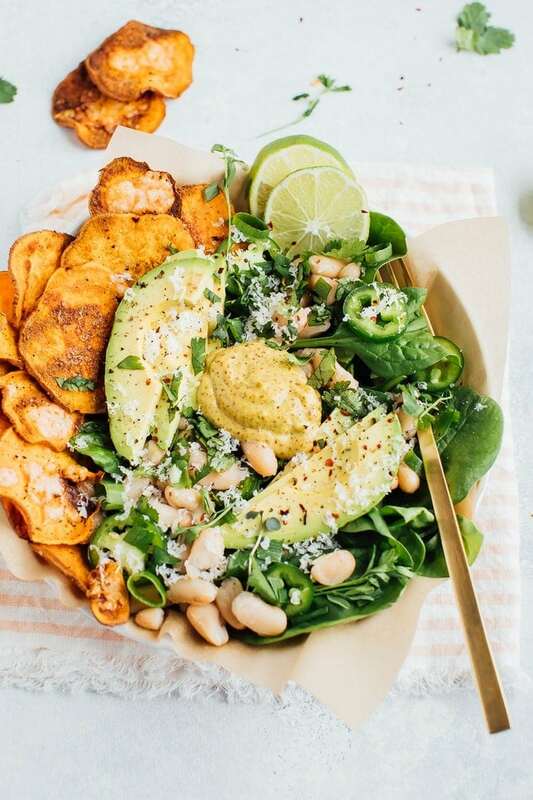 I already spilled the beans on Insta, but I think we’re going to be having these clean eating turkey taco salad bowls for dinner tomorrow night. And I might make another batch of this dip to go along with it. 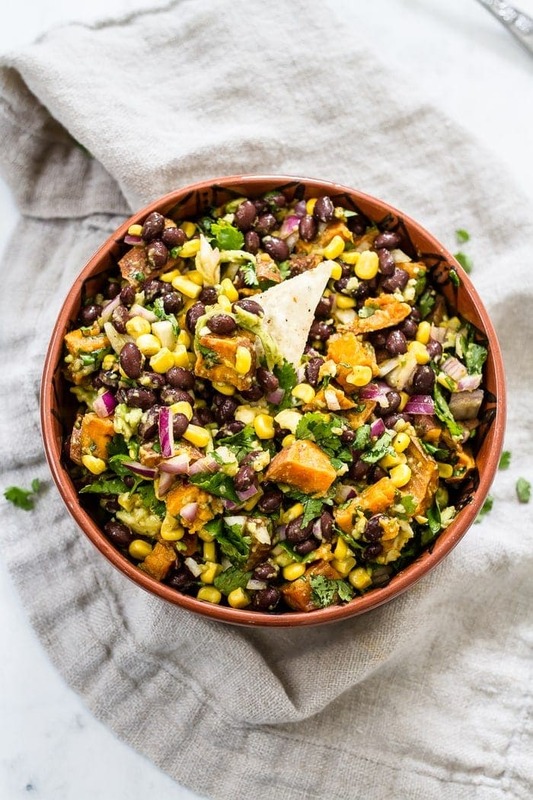 A delicious southwestern dip with a mix of roasted sweet potatoes, black beans, corn, red onion and cilantro. 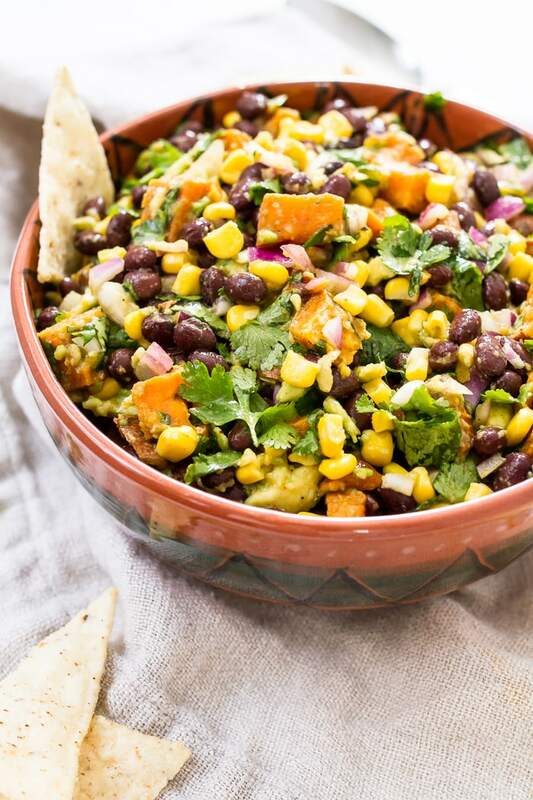 Perfect served with tortilla chips as a dip, as a side or topping for salads and tacos. Lightly grease a rimmed baking sheet and add the sweet potatoes, olive oil, maple syrup, salt, chili powder, cinnamon and cumin. Toss to coat. Bake for 20 minutes or until soft and lightly browned, stirring once halfway through to ensure even baking. Sample and adjust seasonings if needed. Set aside. In the meantime, prepare the sauce: Add the avocado, olive oil, lime juice, maple syrup, salt and pepper to a large bowl. Mash/mix to combine. Taste and adjust the seasonings as desired. 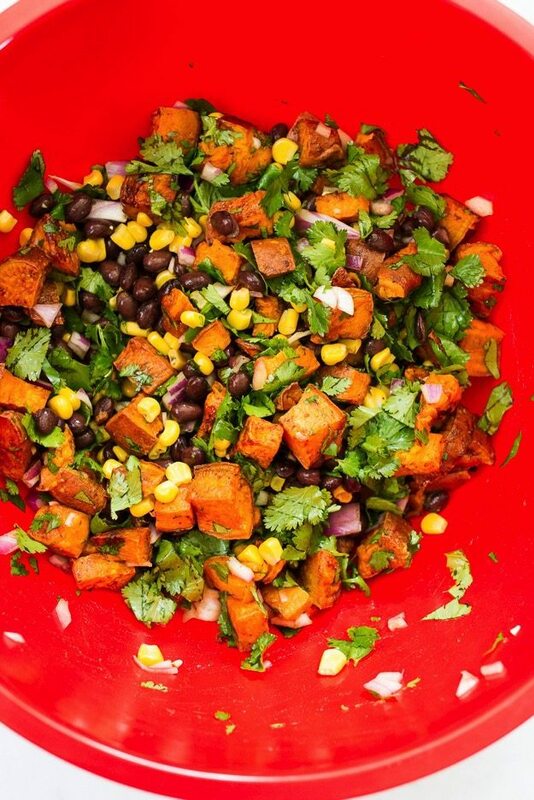 Add the corn, cilantro, onion, black beans and roasted sweet potatoes to the sauce and toss to combine. Taste and adjust seasonings if needed. Serve at room temperature with tortilla chips. Store leftovers covered in the refrigerator for 2-3 days, though best when fresh. Recipe republished with permission from Minimalist’s Baker Everyday Cooking 101 Entirely Plant-Based, Mostly Gluten-Free, Easy and Delicious Recipes by Dana Shultz. If you’re on the market for a new cookbook, Everyday Cooking is one that I would HIGHLY recommend. The recipes are just like those you’ll find on minimalistbaker.com — inventive, delicious and approachable, even for a home cook or those that don’t eat entirely plant-based or gluten-free. 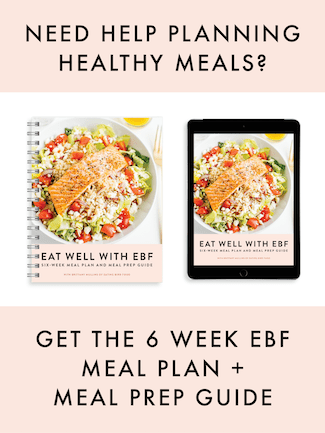 Every recipe has a stunning photo to go along with it and nutritional facts are provided, which I know a lot of you will really like! As an added bonus, the recipes are pretty “minimalist” and either require 30 minutes or less to prepare, 1 bowl or pot, or 10 ingredients or less. I personally know that this cookbook will make it to the “favorite cookbooks” section of my bookshelf. I already have a laundry list of recipes I want to try including the toasted Coconut Dark Chocolate Popcorn, Raspberry Spinach Ribbon Salad and the Banana Chocolate Pecan Muffins. Gah, can’t wait! Everyday Cooking is available for sale on Amazon as well as a host of other retailers (even internationally). Learn more here. So great! Thanks friend. “That dip was bangin.” hahaha! I love sweet potatoes too! I think I might add diced jalapenos to give it a little more kick. Looks like a great cookbook, thanks for sharing! What a unique flavor combination! I would have never thought to combine the sweet potatoes this way. Great idea!! I have got to add this cookbook to my collection! It looks amazing!! 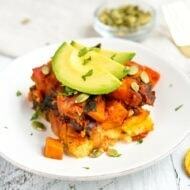 This recipe looks wonderful, I am a sweet potato fan too. Thanks! That looks & sounds so, so delicious! I’d love to try it this weekend, since we’re promised good weather and I was thinking of breaking out the BBQ. It would make a great side for that! I would eat this by the spoonful! Would it still work alright if I left the oil out? We’ve been cutting out oil since reading “How Not to Die” by Michael Greger, (great book, by the way), & other research on it. This dip looks so good! I love all the texture in it, I like those types of dips better than the totally smooth ones. I’m going to have to get Dana’s cookbook, I’ve been eyeing it and not sure I can hold out any longer! I didn’t have corn, so I subbed in a cup or so of diced red and yellow bell pepper. Super yummy!